It’s been a good month for revisiting classics. 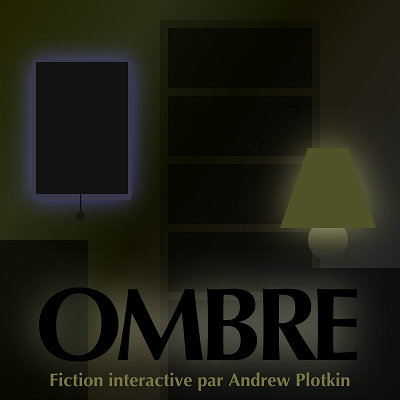 Andrew Plotkin’s classic Shade is now out in a French version. Meanwhile, Adam Cadre’s groundbreaking 1998 IF game Photopia is now available as a stand-alone iOS app, which advertises some UI updates. These aren’t updates in the sense of leaving the parser behind or even offering any particular extra tools for dealing with it — Hadean Lands has more of that kind of thing — but the transition from one color passage to another is slightly animated, and the colors themselves feel like a more natural fit for iOS than they did for the janky old interpreters for which Photopia was originally written. Finally, Wade Clarke’s Leadlight Gamma — a reworking of his comp game Leadlight, but for modern IF engines — is on sale at itch.io for $1.00 until the end of August (which is to say, the rest of today). Another piece of IF-related excitement this month: the debut of Sub-Q magazine, which has published three new and one reprint IF story, as well as a bunch of interview and blog posts. This interview with Chris Klimas gives his thoughts on Twine and where it’s going. Digital Antiquarian is always good value, but I especially enjoyed this article on graphical adventure design and its flaws, which looks at Space Quest and Uninvited. So far there are only teasers or advance websites for these games, but I’m curious about two forthcoming IF-y pieces: Sun Dogs and Wheels of Aurelia. Sun Dogs is a game of exploring our solar system once humanity has spread across it. As you travel, you gather items, skills, and alterations to your body. These will affect the text of the world and your journey through it. Wheels of Aurelia, meanwhile, pitches itself as half driving game and half interactive fiction, and concerns a female driver in 1970s Italy. That, and the art released so far looks amazingly cool. There’s also a mailing list to sign up for updates, or people going to Fantastic Arcade can get a first look. Both of these look to combine location-based models with textual gameplay, and that combination has worked out really well in other contexts, from Sunless Sea to 80 Days. So I am curious and optimistic. At Offworld, Leigh Alexander writes about &maybetheywontkillyou, a game with a digital version but primarily designed as a live roleplaying experience reflecting unjust policing standards and the experience of black Americans. One of the things that strikes me as interesting about this is that the antagonist player doesn’t play as any individual police officer or white person, but as the System, representing the cumulative unfairness of a situation made up of the choices and unconscious biases of many different individuals. The press kit refers to this as a performative empathy experience. Daniel Stelzer has been posting what he calls sketchbook pieces: standalone bits of code that aren’t enough for a full game or might be too gimmicky to belong in one, but that were interesting exercises in themselves. I like this idea; I think small things like this can be beautiful and informative even if they’re not complete games, and I think framing their release as “sketches” makes it a little more possible to put these things out there. Failbetter Games is offering incubation opportunities for London-based indie game developers, including some office space and informal mentoring. Warren Spector writes for Gamasutra about how game choice without consequence is valueless. I disagree — I think there’s room for reflective and aesthetic choice, and I’ve specifically defended Season 1 of Walking Dead about its use of choice that doesn’t always lead to major branching. But I certainly share Spector’s dislike for Fable-style metering of the player’s choices, and simplistic moral feedback to the player. So there’s that. Daniel Parker writes about anxiety as produced by and simulated by Queers in Love at the End of the World and Creatures Such As We. Brenda Neotenomie has posted some notes about composing the soundtrack for Neon Haze. Interesting in its own right, and doubly so because there’s relatively little IF with audio or discussion of the thinking behind it. Seven days remain to submit gamebooks for this year’s Windhammer Prize. Stuart Dredge writes on Victoria Bennett and Adam Clarke’s Minecraft poem My Mother’s House in honor of Bennett’s mother, who has been diagnosed with cancer. From the BBC, a story of computational creativity for T-shirt slogans, gone horribly wrong. Of possible interest to Counterfeit Monkey fans, here’s a cool article about some unusual constructed languages.